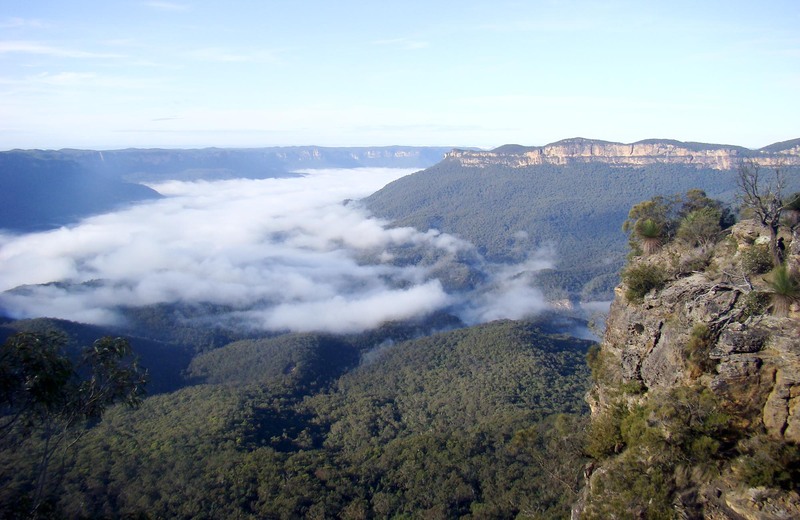 All the practical information you need to know about Echo Point lookout (Three Sisters). At Katoomba, turn left off the Great Western Highway at the traffic lights, then follow the signs to Three Sisters and Echo Point. Parking is available near Echo Point - please note that time limits and parking fees apply. It can be a busy place on the weekend, so parking might be limited. Dial Triple Zero (000) in an emergency. Download the Emergency + app before you visit, it helps emergency services locate you using your smartphone's GPS. Please note there is limited mobile phone reception in this park and you’ll need mobile reception to call Triple Zero (000). Pets and domestic animals (other than certified assistance animals) are not permitted. Find out which regional parks allow dog walking and see the OEH pets in parks policy for more information.